Since Tokyo 1964, each edition of the Games has depicted the sports on its programme through iconic graphic symbols that reflect the culture of the host nation. 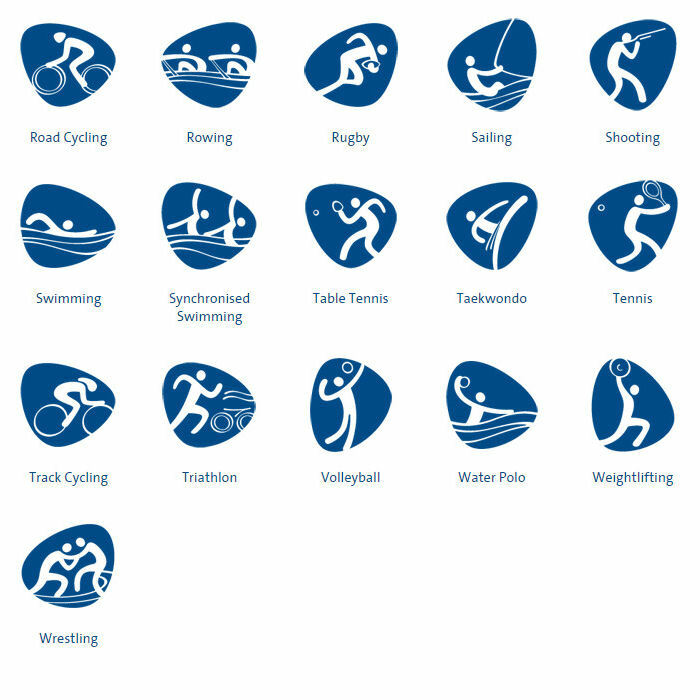 And Rio 2016 have now launched its sport pictograms for the 2016 Rio Olympic and Paralympic sports. "For the first time, all Olympic and Paralympic sports are individually represented. 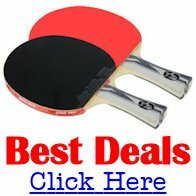 This is one of our unique contributions to the history of the Games. I congratulate the creative team for their dedication and hard work together with diverse groups who contributed to this launch"
The pictograms allow people from all parts of the world to immediately identify sports and are used to guide and inform the public, for example in venue signposting and on tickets. 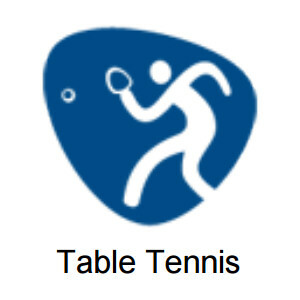 "From now until 2016, the pictograms will serve as a communication platform for the promotion of the sports, for partner activations, and will be present in all the Games' visual identity, including their application in venue decoration, signposting, tickets and licensed products, among other things." Every four years, people from all over the world gather together in one place to witness the greatest sporting event on the planet. However, all of these people speak different languages and bring their own cultural backgrounds. That's why an effective communications system is vital for visitors' guidance and information about the venues and competitions. Pictograms were born from this need. For each edition of the Games, the host city develops its own set of pictograms. The design is created in order to achieve two very specific goals: to work as a 'wayfinder' tool for spectators, while also representing the local culture. The word 'pictogram' comes from Greek and Latin, meaning 'painted word'. This original meaning was the source of inspiration for the first strokes of the Rio 2016 pictograms, which were based on the official Rio 2016 typography. After researching each sport, the first outlines were made by hand. These strokes were then reconstructed on a computer, fitting the contours of the letters. The athlete bodies and sports equipment were built from the characters, or part of them, in a continuous stroke, with variations in thickness in order to give the impression of depth. The pebble shapes, which are a characteristic of Rio 2016's visual language, support the designs and alter their shape according to the athletes' different movements. Work was completed in 16 months, five of which were devoted to the validation of the pictograms by the 42 International Federations. 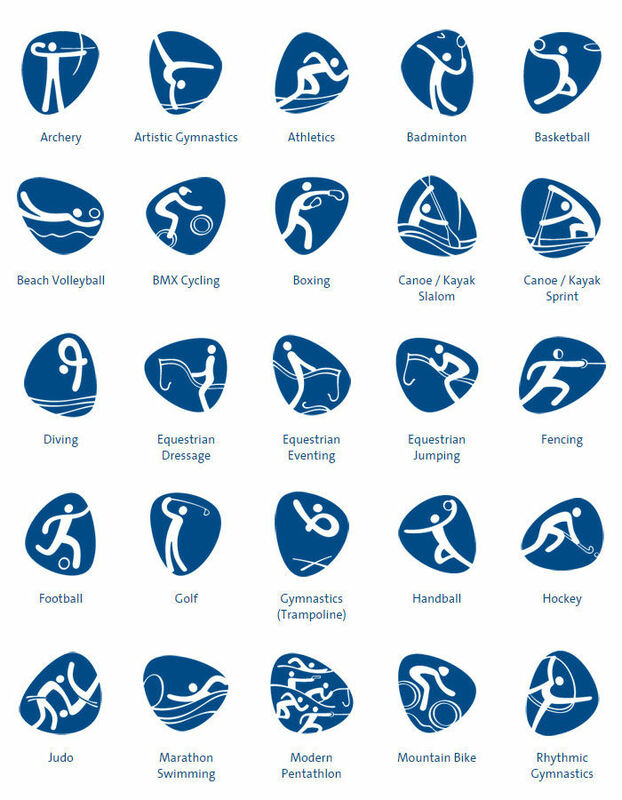 In total, there are 64 pictograms - 41 Olympic and 23 Paralympic.